Yoga is becoming increasingly popular among seniors across Resort Lifestyle Communities and the United States. This growing trend of practicing is a cause for joy as yoga has many health benefits for seniors. Yoga plays a contributing factor to a happy and healthy senior living. Hence, why we would like to share with you the many benefits of yoga for adults 55 and over. Several poses of yoga put emphasis on balance and stability which are very important as one continues to age. 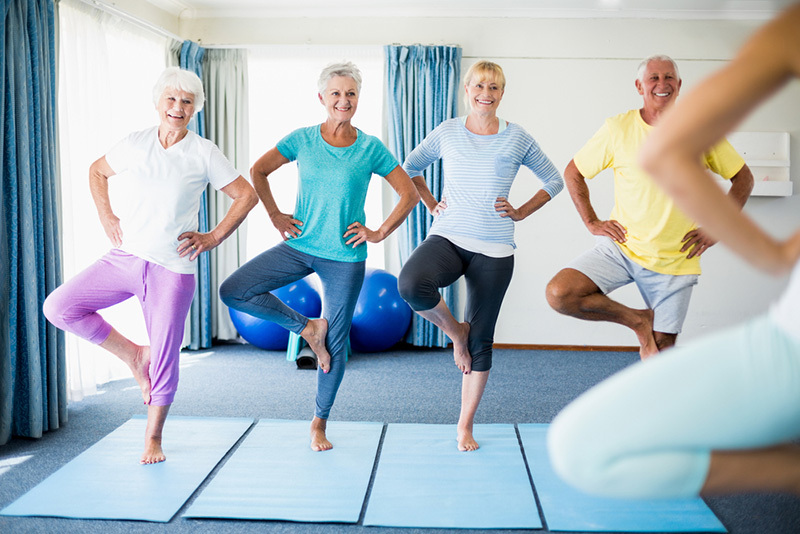 Since yoga improves muscle strength and body coordination, it reduces the risk of falls which is a big thing as falls are one of the main causes of concern for senior citizens. Even if a fall occurs, seniors will be able to deal with them better as their resilience and strength will have been improved by yoga. High blood pressure is a cause for concern for many senior citizens as it causes several diseases such as heart issues and kidney failure. However, yoga is a great method of reducing high blood pressure as studies have shown that it reduces oxidative stress which is a prime cause of high blood pressure. Several yoga postures and breathing techniques focus on breathing and slow movements. This can trigger the parasympathetic nervous system which helps with diminishing the effects that anxiety and stress can have. Taking in adequate oxygen, especially during the morning when the air is fresh automatically reduces stress. Practicing yoga is refreshing for both the mind and body and the exercise releases endorphins which makes one happier. Many asanas and poses in yoga help make the core muscles stronger. Having a stronger core decreases pressure on the lower back and thus helps with controlling the pain. Yoga is known throughout the world to enhance flexibility. This means that its mild exercise is good for painful or stiff joints. It has healing properties which help manage osteoarthritis in older men and women. The gentle stretching of yoga asanas helps loosen up and tone muscles helping reduce the chance of injury. As you get older, the respiratory system weakens and the tolerance to physical exercise and activity gets reduced. Yoga increases the level of oxygen in the blood and thus keeps the tissues and organs healthy. Hatha Yoga has many breathing techniques which make the respiratory system strong. Respiratory health is especially important as it is vital for the overall well-being of any person. The asanas that involve the movement of the spine in all directions and stretch help make the muscles of the upper torso strong and are great for the respiratory system. Several elders face the problem of asthma. They can try asanas and pranayama as these can help reduce inflammation, increase the efficiency of breathing, and help with mild asthma. Cramps, bloated stomachs, constipation, and indigestion are issues that senior citizens face from time to time. Yoga can help with these problems and many asanas are beneficial for proper digestion. Yoga can help clean and stimulate the bowels and encourage proper digestion of food. For those with digestion issues, it is recommended to wait a few hours before doing yoga after a meal. Poor circulation harms the body in many ways such as causing fluid to be retained in the body and the swelling of legs and lower body. Although the causes of improper circulation are out of our control, our esteemed elders can improve circulation with exercise and yoga. You can read more about these poses here. Yoga has a healing effect on mental health problems and is an important tool of psychotherapy approved by the American Psychological Association. It makes people regain self-confidence and know more about themselves. Balasana or Child's Pose and Uttanasana or Standing Forward Bend Pose can help with mental well-being. 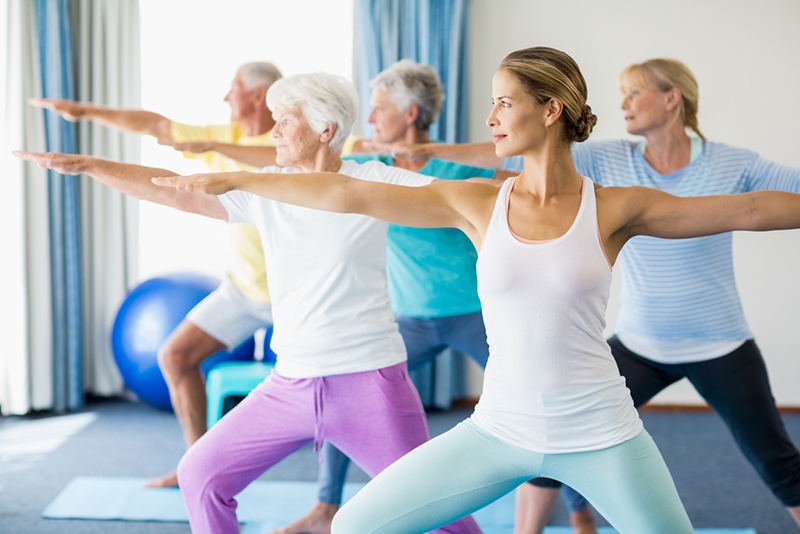 With all the great benefits yoga provides, healthy and happy senior living has become a reality. Life in retirement communities is relaxing and satisfying with lots of activities to do and likeminded people to share the time with. 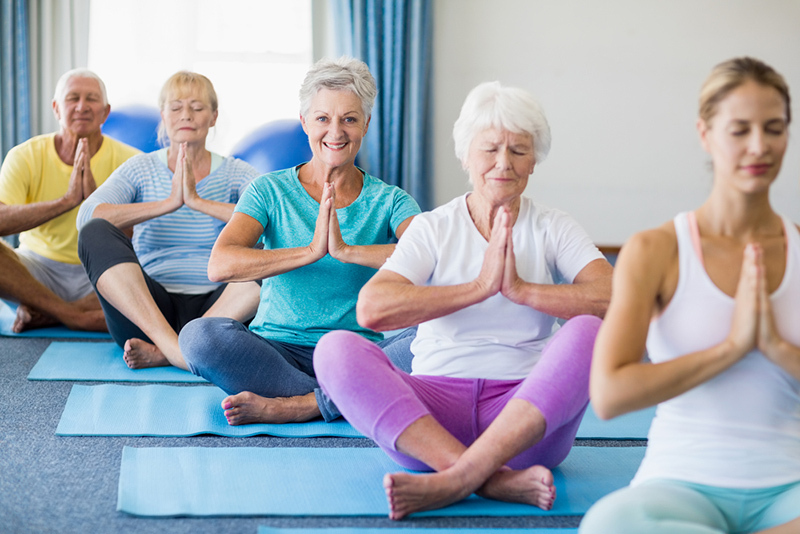 If you are choosing a retirement home for yourself or your parents, then be sure to look for retirement communities where yoga is practiced often. About the Author: Dr. Mitravinda Savanuris a Nutritionist at DietChart with a doctoral degree in Food Science and Nutrition. She is a teacher, researcher, and author. Her passion for health inspired her to start writing. She wishes to help people gain a deeper understanding of the relationship between food, nutrition, lifestyle, and health.